Only four species are considered threatened. The Reunion cuckoo-shrike (Coracina newtoni) is Endangered. In 2000 it had a population of 120 pairs and a very small range of 6.2 mi2 (16 km2) in increasingly degraded forest habitat. 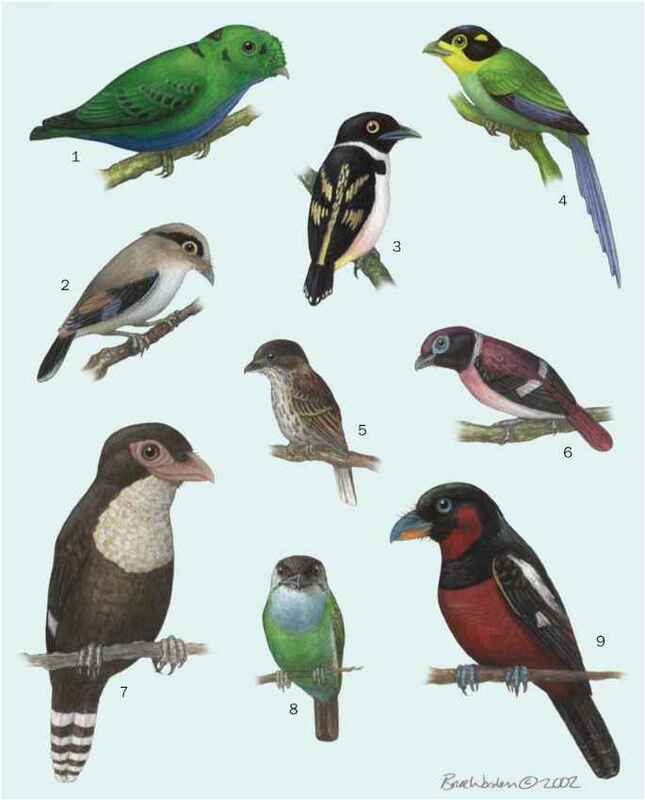 Of the three Vulnerable species, the Mauritius cuckoo-shrike (Coracina typica) has a very small range. However, it has responded well to rehabilitation of native ecosystems, and its small population is increasing. The white-winged cuckoo-shrike (Coracina ostenta) of the Philippines is declining through destruction of its forest habitat. Nine species are Near Threatened and six of these occur only in Indonesia or the Philippines, where forest destruction has been severe. Detailed information is lacking on the current status of most species, but many have suffered from habitat loss. A few species have adapted to modified or degraded habitats. In New Guinea, the white-bellied cuckoo-shrike (Coracina papuensis) has invaded some urban areas, where it is locally abundant.